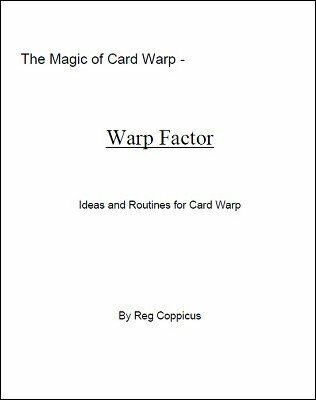 Ideas and Routines for Card Warp. This was a product with ideas submitted by many people, and thank you. To clarify, the manuscript does not teach the Card Warp effect, you have to already know how to perform it. This booklet simply describes various ideas, routines and patter you can use to enhance your work.